Adoption Agency CA: Adopting A Baby? Be Prepared With More Of Our Adoption Center’s Tips! Adopting A Baby? Be Prepared With More Of Our Adoption Center’s Tips! Raising a newborn can be a challenge. New parents across the country soon learn that caring for their little miracle involves a lot of attention and care, both of which are rewarded with a lifetime of love and accomplishment. If you’re considering adopting a baby, this process can prove to be even more complex, which is where our adoption center is happy to help! A is 4 Adoption is proud to be your trusted resource for comprehensive support for both pregnant mothers and adoptive parents. Our facilitators in California offer services far beyond that of an adoption agency, and our experienced staff is available 24/7 for those in need of assistance. We love to help create the best outcome for everyone involved, and will work diligently to assist you throughout the adoption process. If you’re considering adopting a baby, it’s important to be prepared when the day finally arrives. Today, we’ll continue to discuss a few tips to help new parents on the path toward growing their loving family. If you’re pregnant and looking for assistance, or you’re ready to begin the process, be sure to contact us today! The first few weeks will be a blur of feeding, burping, and changing your newborn. Parents will begin to notice that their little one has a natural schedule that they tend to stick to. One tip that can help you prepare for the months to come is to take note of when your little one sleeps, eats, and awakens for activities. We recommend configuring a schedule that accommodates your newborn’s preferences with your own. The first couple of weeks will consist of conforming to baby’s plans, and eating and sleeping when she does. Once the two of you have a routine established, you can begin to take steps to reinforce when it’s time to play and when it’s time to slumber. Raising a new addition to your family can be exciting, but it can become too easy to focus too much on baby and not enough on you (or your spouse). Bear in mind that you will still need to perform all of your daily chores and routines, including showers, naps, and more. Most new parents cite a lack of sleep and proper diet as the top problems when caring for their newborn. Both of these insufficiencies can negatively impact your health, as well as disrupt your ability to raise a child in a happy household. It can prove challenging to find the time to continue your regular routine, but figuring out a system that works will help you to feel better throughout the entire process! Both biological and adoptive parents will quickly learn that the bond between a mother and child is strong, and that can oftentimes leave the other partner feeling left out of the circle. Many new fathers cite feeling a lack of bonding with their newborn, especially dads who entered fatherhood through adoption. It can help to plan for father/child time by scheduling activities between the two, after the baby is fed of course. Even having Mom out of the room for a short time can do much to strengthen the bond between father and child. Bonding time with Dad will help the male figure grow closer to their little one while also showing baby that there can be more than one source for comfort. Small efforts in the first few weeks can provide amazing benefits for both individuals, as well as give mom some time to relax! A is 4 Adoption is here to help families of all types, and we are proud to help LGBT couples find the perfect addition to their loving dynamic. Contact us today to learn more! Many adults you will speak with during this exciting time will tell you it is one of the most rewarding experiences, but everyone will also include one detail — it is hard work! Our advice during this wondrous and challenging time is to focus on working together on every aspect of child care. While Mom has traditionally taken on a bulk of the duties, modern dads have begun to do their part to ensure that the efforts are evener. Not only will this help to make the process easier for both members, it will also help to strengthen the relationship for future adventures and challenges. Adopt a Baby With Us! 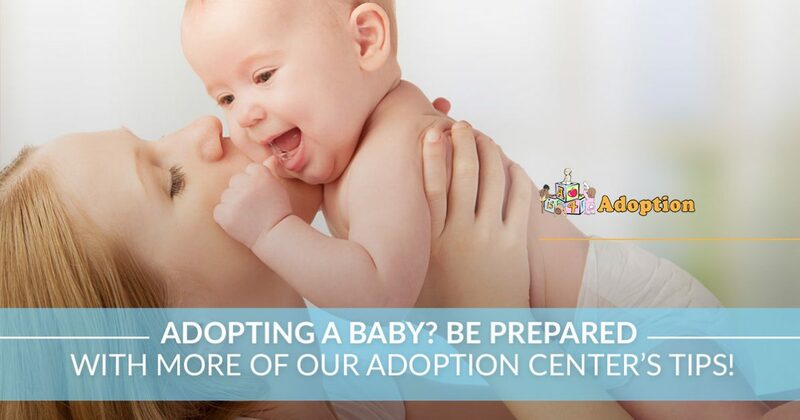 A is 4 Adoption is here to help adoptive families across the country find a newborn to change their lives. Our facilitators also work diligently to provide comprehensive birth mother help to support expecting mothers who are making this courageous decision. Unlike a typical adoption agency in California, our private adoption center focuses on delivering comprehensive support through every step of the process to ensure higher chances of success in shorter periods of time. Our passion is to help everyone in need navigate the adoption process, and we have babies in need of loving homes. If you’re ready to take on this rewarding challenge, be sure to contact our team today!